The data is in and the word is out—a safe and consistent yoga practice can lead to a whole host of realizations and positive life changes. When accompanied by skilled teachers, the student has the potential to find more and better ways to live a productive, healthy life in a fast-changing and aggressive world. In today’s growing and changing yoga landscape, new and experienced students of all ages, shapes, and backgrounds are entering the learning environment with different needs and lots of questions. EFV Labs host the best, most experienced educators in the field to support new teachers (as well as experienced teachers who would like to freshen up their teaching practice) in their quest for highly skilled continuing education with which to better serve the ongoing/growing needs and explorations of the students who enter their learning environment. After building the foundation in the nine-month EFV 200-hr training, EFV Labs’ trainings and immersions allow the new educators to add more tools to their teacher toolbox enabling them to reach out to a more broad and diverse student base with confidence, accuracy, and skill. The diaphragm is one of the most important muscles in the human body and is a major focus of yogic breath practice. There are many misconceptions about this vital structure that lead yoga teachers to pass along faulty information to their students. In this session, Leslie will review common diaphragmatic myths using imagery, animation, simple movement practice and inquiry. Expect to come out of it with a more profound and accurate view of the essential role of breathing in yoga and life. One of the most effective ways to empower a breath-centered yoga practice is to integrate sound into simple vinyasa flows. In this session, Leslie will review the basics of phonetics using the anatomical map of the mouth embedded in the Sanskrit alphabet. He will lead students in a simple chanting practice to blend exploration of the relationship between sound, physical support and movement. There will be stillness within the movement, and movement within the stillness. Problems arise in yoga practice if we provoke too much movement from too few places. This session explores the alternative: how to promote well-distributed breath and movement. Leslie will lead partnered teaching and hands-on exchanges, group practice sessions and engaged discussions focusing on how to integrate spinal movement with breath mechanics, and how to develop individual strategies for specific issues. In a yoga class, one of the first opportunities for students to connect with their teacher is through a shared “OM” but how often do we pay as much attention to the details of this sound as we do to the nuance of asana? Leslie will deconstruct the phonetics of this complex, resonant, sacred vibration. By focusing on the movement of “OM” through our vocal spaces, and playing with its inherent overtones, we will build a practice that can support a lifetime of exploration of this most fundamental of mantras. Price: 219 € for EFV Labs members (100 € non-refundable deposit due now), 250 € for non-EFV Lab members. Are you a current/former EFV student? 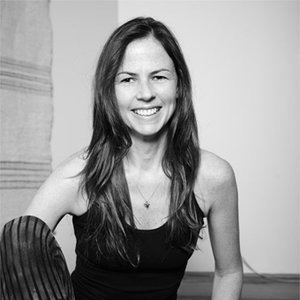 Have you studied with Leslie before, either in-person or via the YogaAnatomy Fundamentals program? To complete your registration, please click the Finish button which will take you to Le Pot Commun where your payment will be securely processed. If you learned meditation, pranayama, and asana as an adult, remember how it changed your life and dramatically reduced your stress and frustration with the world? Imagine if someone had taught you these skills and guided you on how to apply them in your own life early on and you had used them regularly; imagine how your perception of the world might have developed differently. In order to plant these seeds of peace in our children and pass on these yogic practices, we need to learn the skills to make yoga not only fun, but engaging, interesting, and applicable in the day to day real life of children today. Some take the full-on "fun and games" approach to kids yoga. While it’s important to be playful and have fun as a child and throughout life, making space for engaging, interesting and reflective moments are what make these experiences memorable and valuable. Children are full of energy and curious about the world. They are constantly learning so much and having new, first time experiences. Over-stimulation, sensory overload, and stressful school, social, and family situations and a constant barrage of advertisements are all part of daily life for children. Teaching children the value of a yogic lifestyle will help them stay close to their own peace and to better navigate emotions, build confidence, and most importantly understand the importance of compassion and loving kindness in this world. In my yoga teacher training I would like to share skills and techniques with you that will help you effectively pass on the tradition, practices, and lifestyle of yoga. Whether you will apply these skills to developing your own Kids’ Yoga classes, or incorporate them into daily life with your own children, passing on your own yoga experience and lessons is essential for the future of our children and any hope for peace in this world. Price: 325 € for Early Bird (until 1 May), 375 € after 1 May. If not paying Early Bird, 100 € non-refundable deposit due by 1 May. 400 € for Non-EFV Lab members. Registration is now open for members of EFV Labs. Registration for the public will be announced no less than two months prior to the event. Contact info@expansionfreedomvoice.com if you would like to be placed on the waiting list. At this precious time in a woman’s life, a safe and holistic practice can be a best friend on the nine-month journey. She needs the support and guidance of highly skilled teachers, who possess both knowledge and confidence. Having prenatal certification not only gives you additional tools to keep pregnant women safe in your public classes, it also qualifies you to host therapeutic classes open only to pregnant women, and gives you the real skills to work with private students through each trimester and after birth. More and more gynaecologists, doulas, and midwives are recommending prenatal yoga to their patients. Many studios are starting to offer prenatal classes and workshops. #womensupportingwomen is one of our favorite hashtags at EFV Labs! Price: 375 € for Early Bird (until 1 May), 400 € after 1 May. If not paying early bird, 100 € non-refundable deposit due by 1 May. (425 € for Non-EFV Lab members). Price: 700 € Early Bird for EFV Lab members (until 15 Aug), 800 € after 15 Aug. If not paying Early Bird, 100 € non-refundable deposit due by 15 Aug. 750 € Early Bird for Non-EFV Lab members, 830 € after 15 Aug.
To register send an email to info@expansionfreedomvoice.com.